If you're anything like me, you probably say a lot of the same stuff time and time again. I'm not just talking about trendy exclamations like "Good golly, Gertrude!" and "Holy hamburgers, Henry!" Those are certainly fair game, of course, but I'm thinking more about the sorts of things you type repeatedly as part of your work day — addresses, phone numbers, the current date, or any other bits of text you send over and over to clients, colleagues, and/or lifelong foes. We've talked before about text expanding tools for Android that can save such phrases and then make them easy to insert anywhere, with minimal effort, on your mobile device. When it comes to the desktop, though, those utilities tend to be limited to traditional operating systems like Windows and MacOS and not designed for contemporary, browser-centric use — which also means they aren't available on Chrome OS. There is, however, an excellent text expansion tool that runs right in Chrome and works on any system where is Chrome is installed — including, yes oh yes, a Chromebook. 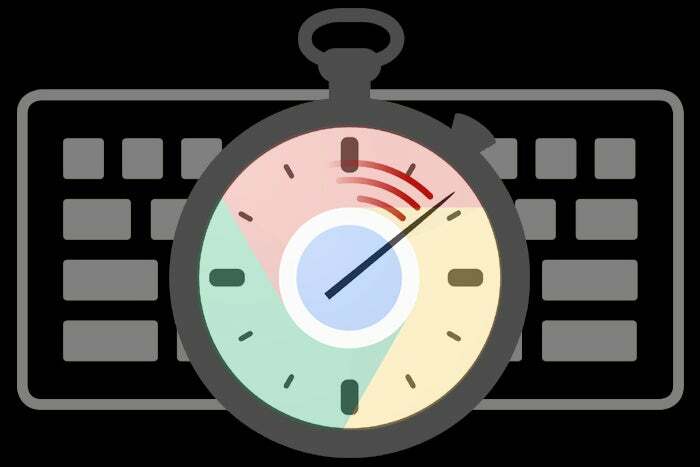 And whether you're using Chrome OS some or all the time or even just looking for a simple time-saving solution that lives in your browser and syncs automatically across multiple devices, it's an add-on well worth incorporating into your workflow. The tool is called Text Blaze, and while it's technically still in beta, it's been working incredibly well for me both on Chrome OS and within Chrome on Windows. It's super-easy to set up, too: Once you've installed the extension and connected it to your Google account (which is what allows your snippets to sync automatically and always be available on any device where you're signed in), you just open your dashboard — by clicking the Text Blaze icon in your browser's address bar or by visiting this link — and there, you can create and manage all of your text replacement snippets. Creating a new snippet is as simple as clicking the blue "+" button in the upper-left corner of the screen. You can also edit any existing snippet (including a series of sample snippets provided when you first install the program) by clicking its title in the "My Snippets" column on the screen's left side. When you're creating or editing a snippet, you give it a description — for your own future reference — and give it any shortcut you want. That shortcut is a critical piece of the puzzle, as it's what you'll type in order to make your snippet appear. I'd suggest using a slash, asterisk, or some other special character along with a number, letter, or short series of numbers and letters; you want it to be something that's quick and easy to hammer out but also something that you won't type inadvertently in any other context and cause your snippet to appear when you don't actually want it. If you don't like remembering commands or maybe just occasionally forget them, by the way — hey, it happens to the best of us! 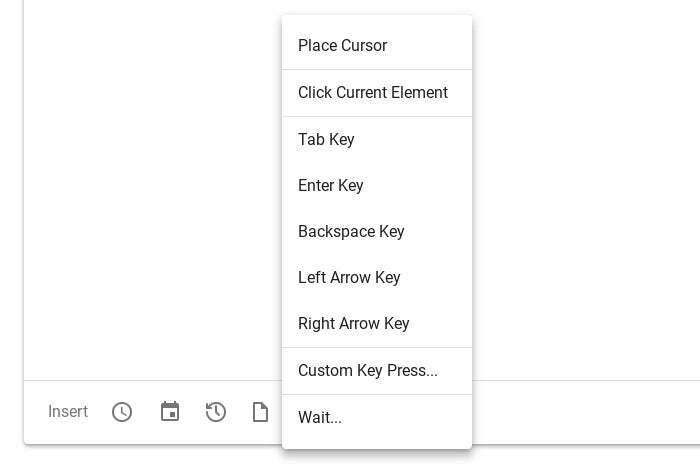 — you can also insert any snippet by right-clicking in a text field anywhere on the web and selecting "Text Blaze" from the menu that pops up. That'll let you look at a list of all your snippets and then pick whichever one you want to use. Text Blaze works with short snippets of regular text and can also handle fully formatted, multiline templates. If you really want to get wild, you can add in all sorts of dynamic context, too — ranging from basics like the aforementioned current date or time (in a variety of different formats) to the URL or domain of the page you're currently viewing. You can even specify where the cursor should end up and insert Tab, Enter, or arrow key presses as part of the formula. The basic version of Text Blaze is free to use, though it limits you to a total of 30 snippets and a maximum of 2,500 characters per snippet. If you need even more than that, you can bump up to 2,000 total snippets with up to 25,000 characters in each for 36 bucks a year. That "pro" level subscription also gives you the ability to create actual functioning forms as part of your snippets — so you could easily fill in something like, say, a recipient's name after inserting a snippet into an email — along with the ability to embed images within your snippets. There's also a business-level plan that has higher limits yet as well as group-sharing capabilities; that setup is available for companies at the rate of $84 per user per year. 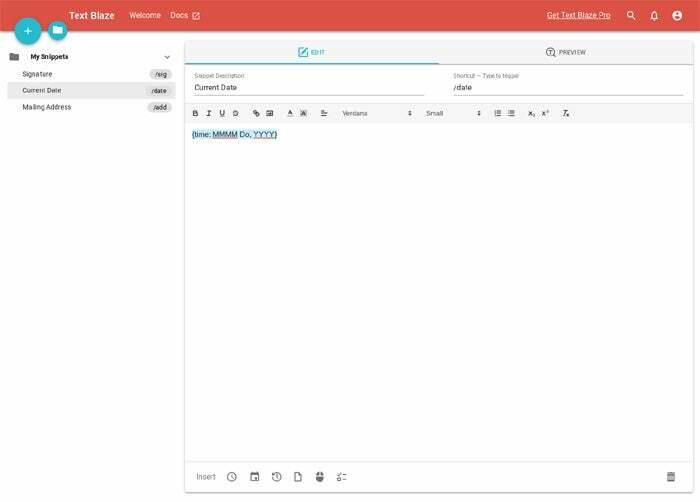 Text Blaze works in Gmail, Google Docs, and on most other sites with text fields. It's a fantastic way to save yourself time and step up your efficiency — and good golly, Gertrude, that's a magnificent thing to achieve.